The FFA Agronomy contest will be TONIGHT! Sectional Volleyball t-shirt order forms are in the office! They are due in the office TOMORROW. Attention Freshmen: Puffins/Butter Braids Fundraiser orders are due November 26th! FFA Members wanting to get FFA Apparel need to get an order form from the Ag Room. Orders and money are due Tuesday November 27th. Coach Hawkins would like the following golfers to bring back their golf bags: Alyvia Bernard Steven Kollross, Jasmine Smith and Macy Baird. Also owing for golf shirt money are Garrett Wendell, Savannah Stiger and Jasmine Smith. Please bring the golf bags and money to the office as soon as possible. Congratulations to Brenden Flannell for receiving Honorable Mention to the All-State Soccer award last week! Way to go Brenden! Congrats to the Varsity Scholastic Bowl team for kicking off their season this past Saturday at the 6th annual Mike Hendricks Memorial Scholastic Bowl Tourney by placing 2nd overall going 6-1 on the day. Congrats to Luke Nichols for being the 5th top scorer of the tourney and Tyler Maxwell for being the 2nd leading scorer of the tourney. The Knights started off the day losing to tourney champions Warrensburg-Latham but then rebounded to defeat LeRoy 195-110, Ashton Franklin Center 180-25, Cerro Gordo 200-105, Deland-Weldon 355-90, Durand 220-170, and Henry 190-60. Tyler Maxwell led the Knights with 37 toss-ups followed by Luke Nichols with 16, Nadia Beadle and Zach Drozs with 4 each, Hannah Partlow with 2, Zach Cahoe with 2 and Josephine Aldrich with 1. Way to go Knights! Congrats to Hannah Brackenhoff who’s been selected to participate in the Parkland College senior all-star volleyball game on Saturday, December 2nd at 6pm. 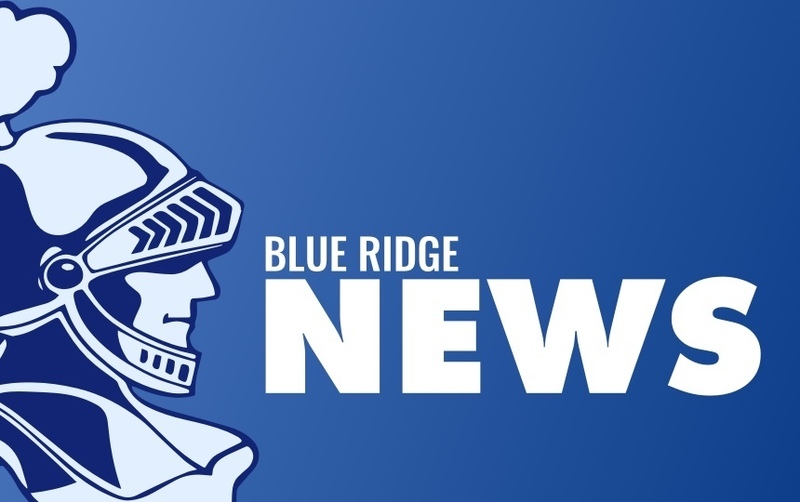 This is great recognition for Hannah's accomplishments in her four-year high school volleyball career at Blue Ridge High School. Way to go Hannah!